A craftsman in Kaplan’s workshop sands a Chippendale-style ribbon-back chair (also called a ladder-back chair with pierced rails), Cambridge, Mass., 1924. Courtesy, Joseph Downs Collection of Manuscripts and Printed Ephemera, Henry Francis du Pont Winterthur Museum. 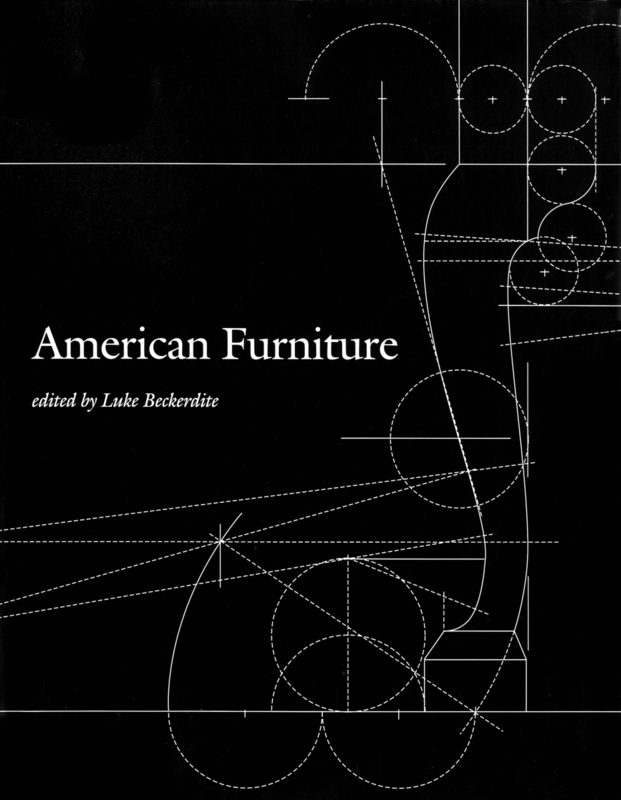 American Furniture, 2017 , edited by Luke Beckerdite, with contributions by Steve Brown, Will Neptune, Erica Lome, Robert F. Trent, Mark J. Anderson, Philip D. Zimmerman, Bradley C. Brooks, Gerald W.R. Ward and Emily Zilber. Published by the Chipstone Foundation; distributed by University Press of New England; 191 pages; hardcover; $65. A significant portion of the research presented in this most recent edition of the Chipstone Foundation’s annual journal focuses on furniture made in Boston, beginning with Steve Brown and Will Neptune’s study on classical proportioning in Eighteenth Century design. 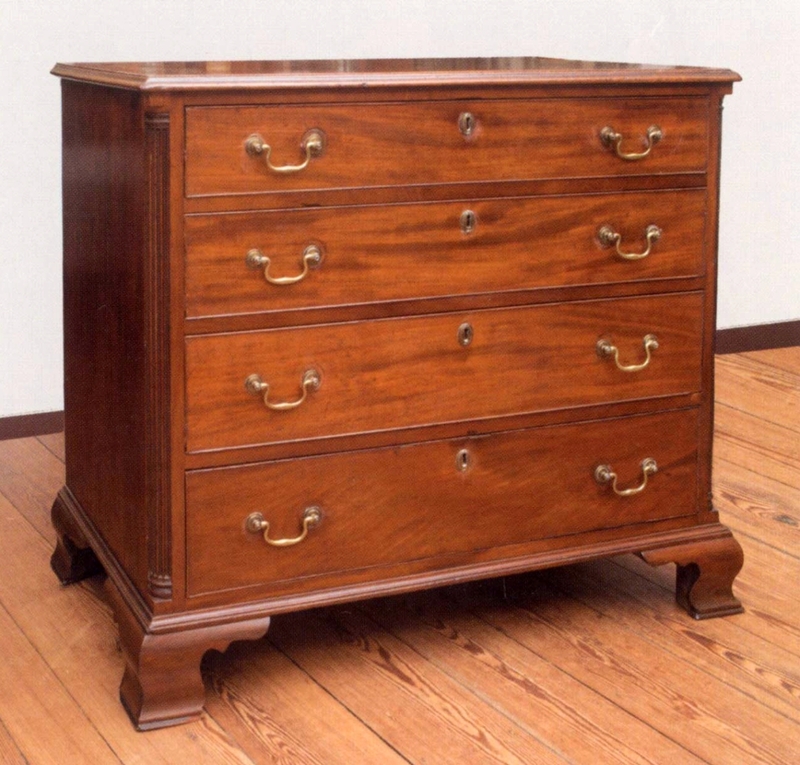 Both Brown and Neptune are cabinetmakers who were hired to build a replica of a dressing table by Boston’s Benjamin Frothingham (1734-1809) and a high chest of drawers by Eliphalet Chapin (1741-1807) of East Windsor, Conn., respectively. In obtaining data from the originals in preparation for crafting the replicas, they identified a logical pattern based around Classical proportions and ratios. Their essay provides an argument for expanding the methodology for making attributions, particularly if a cabinetmaker deviated from a regional norm. 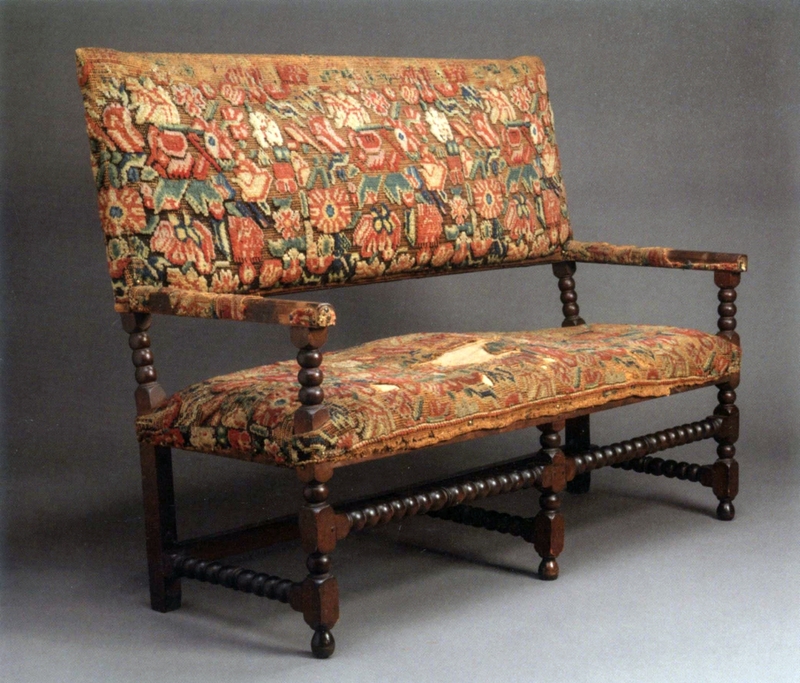 No American Furniture journal would be complete without scholarship by independent museum consultant and scholar Robert F. Trent, and this edition presents two articles with his by-line, the first looking at the 1729-44 daybooks of Boston upholsterer Samuel Grant (1705-1784). Trent turns his eagle eyes to what he terms – sarcastically, by his own admission – “minor furniture forms”: folding or clasp stools; sea chairs or clasp chairs; modestly-priced beds, including sea beds, cot beds and pallet beds; and lastly, couches of the day-bed variety. His essay reiterates the difficulties presented to researchers by the lack of standardization of terms and form names used by cabinetmakers in daybooks. 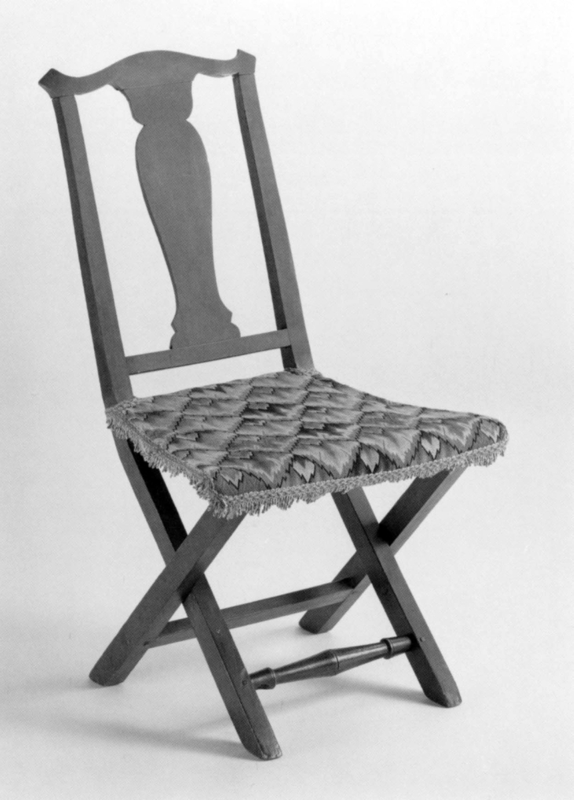 In the following essay, Trent teams up with Winterthur conservator Mark J. Anderson to digress at length on the topic of the Boston Cromwellian chair and its competitors. They begin by pointing out that while many late Seventeenth Century armchairs are attributed to Boston, only one enjoys a secure history of ownership there. The question that came to the mind of this reader was whether the Boston attribution of the group of chairs would hold up to Trent and Anderson’s scrutiny or would be reassigned to alternative style centers. In their comparative study, however, the authors make solid arguments for reaffirming initial attributions to Boston, decisions supported by turning patterns or upholstery methods and materials. 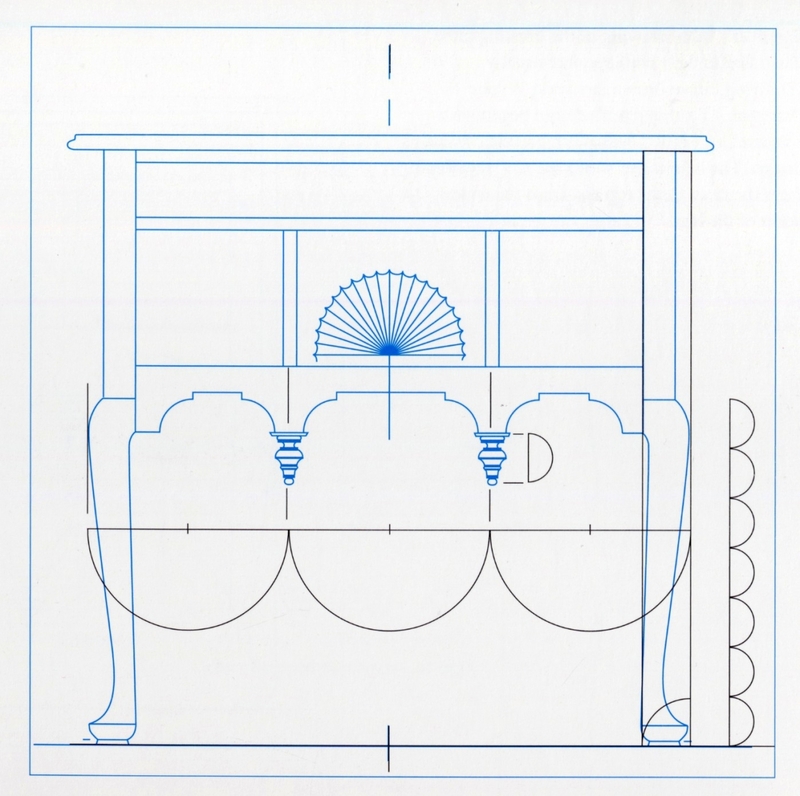 Line drawing of a Chapin high chest of drawers with a modular overlay. Drawing, Will Neptune; artwork, Wynne Patterson. 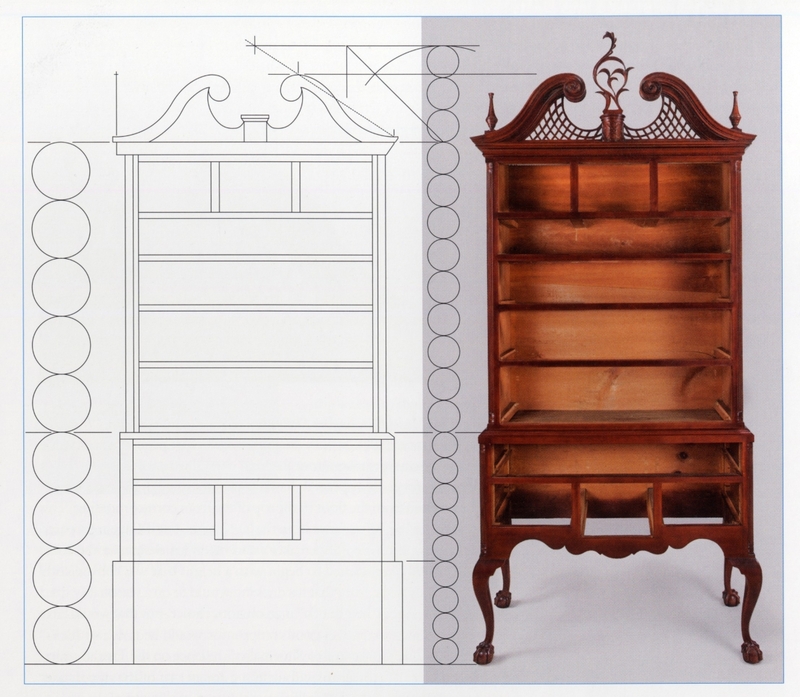 In a profession where regional furniture making practices were based on repetition and consistency of design and construction techniques, Zimmerman identifies Janvier as innovative for producing two tall-clock cases and a chest of drawers with unusual construction techniques. 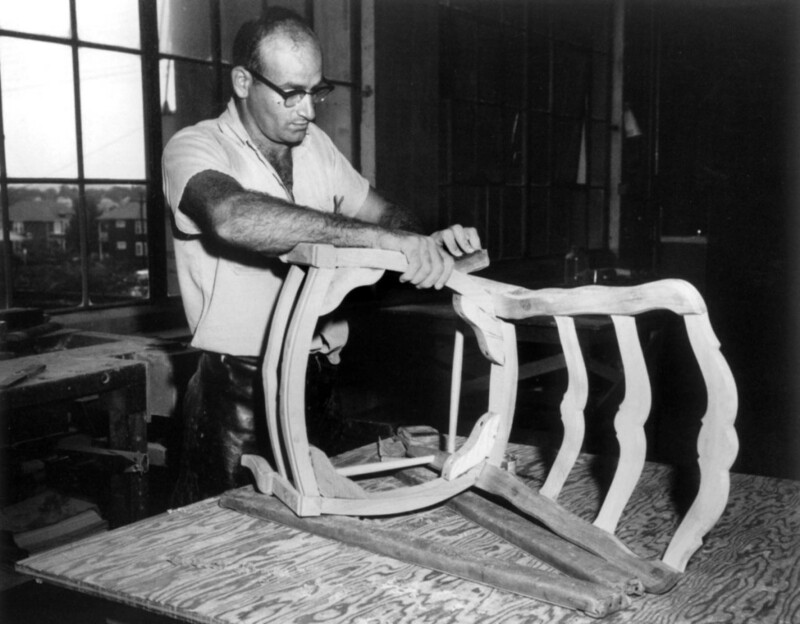 As the leading furniture maker in his small community, Janvier influenced others to adapt similar techniques. Within a short period of time, even cabinetmakers as far away as Lancaster City and county in Pennsylvania – approximately 75 miles from Odessa – had adopted some of these techniques, which in tall clock cases included stacked backboards and waist doors, while chests were made with sliding dovetail tops, full dustboards, drawer glueblocks and even differently constructed bracket feet. Finally, Gerald W.R. Ward’s compilation of recent scholarship provides an invaluable roadmap for researchers, now and future.